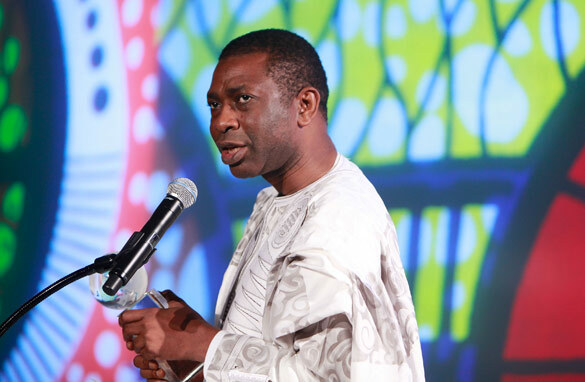 Voted by Time Magazine as one of the 100 most influential people in the world, Youssou N’Dour is Africa’s most famous singer. The Senegalese musician first walked onto a stage at the age of 12 and went on to craft a style of African pop that has won him international acclaim. Peter Gabriel first introduced western audiences to N’Dour via his album “So”. A powerful icon in Africa, N’Dour is actively involved in social issues and is dedicated to promoting human rights and religious tolerance – a cause that was captured most poignantly and successfully in the award-winning documentary “I Bring What I Love”. The film follows N’Dour as he prepares to release his most controversial and personal album, the Grammy-award winning “Egypt”. After delaying the release due to the September 11 attacks, N’Dour went on tour, and with this musical journey showed the world a more tolerant face of Islam. I'm a huge fan – where do you get your influences from? Does Senegalese music influence you as much as someone like Lady gaga? –	How will you Improve Africa and its Allies? I am awaiting Youssou N’Dour’s replies.